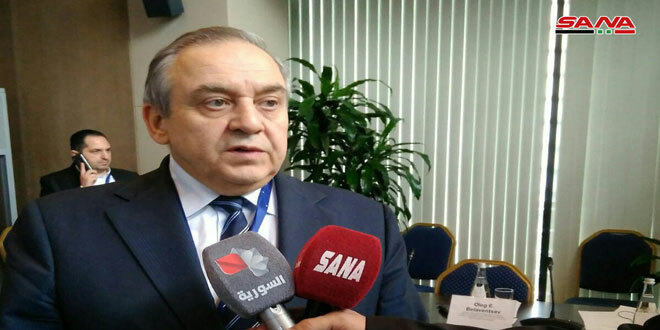 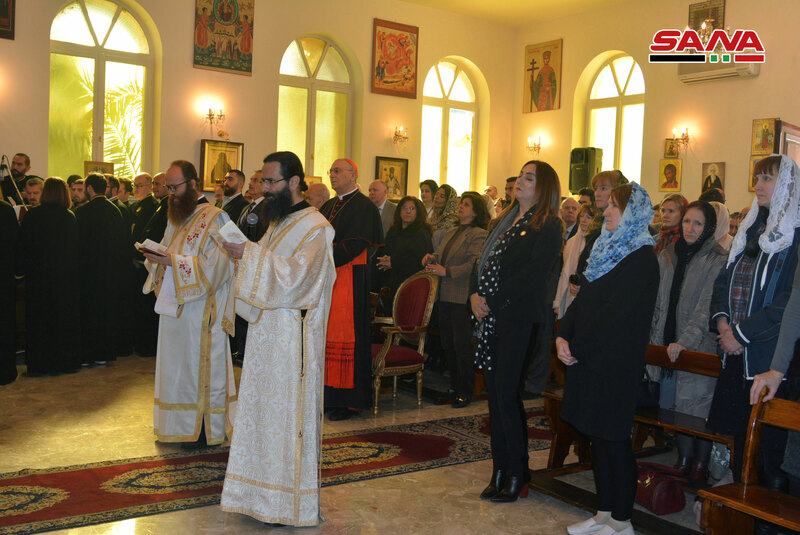 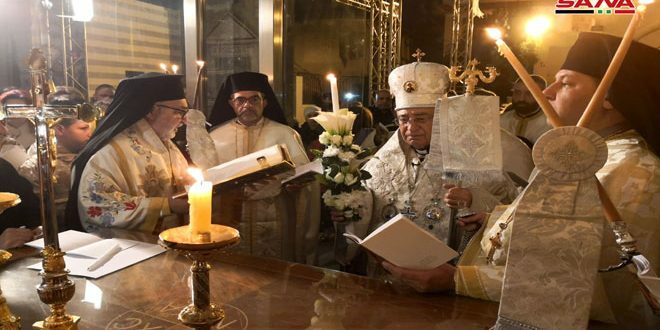 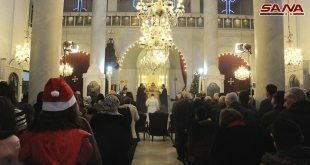 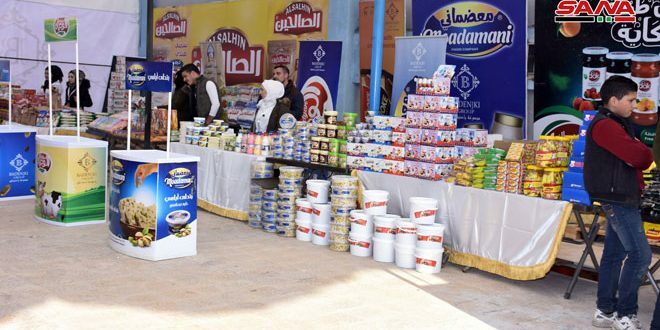 His Beatitude’s remarks came during the mass he headed marking the 60th anniversary of the Damascus representation of the Russian Orthodox Church. 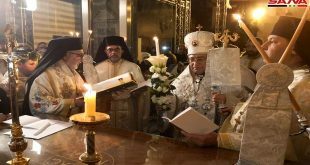 Metropolitans and bishops from the Orthodox Church of Antioch and the Russian delegation, led by Metropolitan Hilarion, Head of the External Church Relations Department of the Russian Orthodox Church on behalf of Patriarch of Moscow and All Russia Kirill participated in the mass. 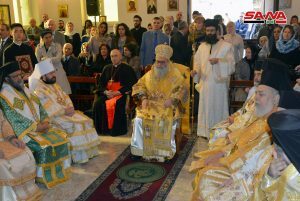 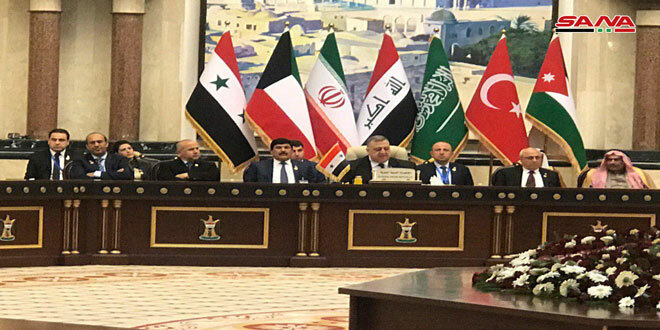 Patriarch Yazigi conveyed the Syrian people’s greetings to the Russian leadership and people for their support to Syria. 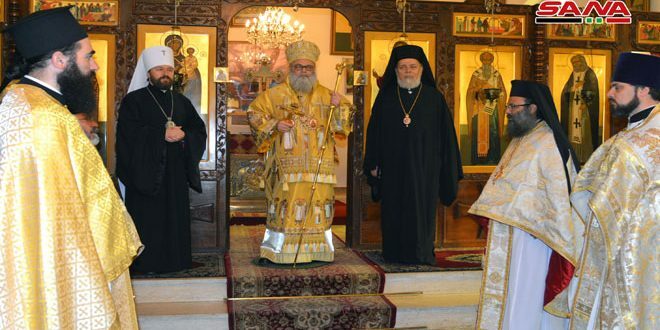 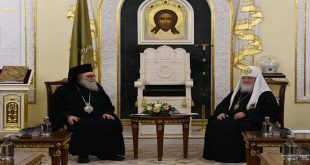 In turn, Metropolitan Hilarion affirmed support of his country and the Russian Orthodox Church to the Syrian people, hoping that the Church would provide the necessary medical support for the wounded in Syria.